When preppers talk about how to survive the zombie apocalypse, they are not talking about the undead. They are talking about those people who didn’t prepare at all or didn’t prepare well enough for a SHTF event or economic collapse. These unprepared people will quickly run out of food and supplies. They will become desperate enough to do just about anything to feed themselves and their families. And they’re going to show up on your doorstep. In the prepper community, a “zombie” is a person or crowd of people that is hungry and desperate for supplies. The problem is that these zombies or unprepared people can be strangers or they can be people you know. You may think it will be easy to turn away strangers who are hungry and desperate but you may feel very differently when it’s your neighbor from two houses down, a co-worker, or several of your child’s friends from school. Hungry, desperate people can even be distant family members who know that you were preparing and figure they can play on your family ties to save themselves and their families. Zombies will be desperate to get what they need to survive and if you have food and supplies and they don’t, there is no telling what they might do to get them. Some will even try to forcibly take them away from you. If you aren’t ready to handle them, you and your family could end up without ANY supplies left at all. One issue where many preppers seem to have differing views is on how to handle “zombies”. Many preppers feel that someone who didn’t prepare well enough is just “not my problem”. They are prepared to turn all people outside of the group away, by force if necessary, to protect their stockpile. There are other preppers who are convinced that they will be able to help everyone or at least offer to merge them into the group and have them contribute in exchange for food. Some preppers are stocking extra supplies so they can afford to “give some away” now and then. Some are relying on being able to hide supplies and pretend to have nothing, and others believe it’s just not a cut and dried issue and they will make a decision on a case by case basis. 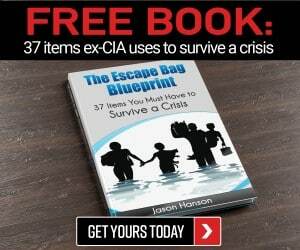 There are many preppers who think they can just stay on the run, basically hiding away from everyone. The final way to deal with zombies is to do a little work before SHTF and try to get as many people around you as you can to start prepping. Focus most of your time and energy on convincing your loved ones to prep and then start working on people like neighbors, co-workers, friends, etc. Try to be subtle and not go overboard. Perhaps you can start out by talking about some common dangerous situations everyone should know how to survive. If they feel you are obsessed and paranoid, they will tune you out. You can introduce the idea of being prepared for emergencies and unexpected disasters by including some of the best survival movies and TV shows as part of your family time. Preppers are in fact gradually dividing into several camps. There are some preppers who believe that the only way they will survive is to go off in the woods or to their remote bug out location, completely on their own or with just their immediate family. They are confident that they have the skills and resources needed to survive by living off the land in complete isolation and in fact, they think bringing other people with them just complicates things. 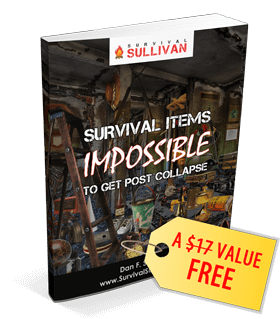 But other preppers have recognized that the odds of surviving completely on their own are not so great and that there are some really big benefits to having a group of trusted people who plan and prep together. These preppers are the ones who are convinced that they can include their extended family and their trusted friends, or maybe even prep together within a tight knit neighborhood. Regardless of where you choose to make a stand, whether you bug out alone or in a group, you need to plan your everything out very well. The best way to do this is to sit down and create a long-term survival plan. Having a plan, written down all in one location, can help you to implement your preparations in an organized and comprehensive way and it will help you to see any holes or gaps in your preps early on while there is still time to do something about it. Anyone who wants to be prepared for emergency situations and/or a more serious SHTF event, needs to have an EDC kit on them at all times. Regardless of whether you intend to bug in or bug out, you should always be prepared for the unexpected with a bug out bag. You will also want to make sure you prepare your car or bug out vehicle for a SHTF scenario. In addition to food and water , you will want to plan for to have it at your bug out location or at your home if you will be bugging in. Depending on your circumstances and your skills your plan for stockpiling food and water could be similar to what is described in this article about how to bug in. If gardening is your thing and you want to plan for a sustainable food source consider planning and planting a hidden survival garden. No matter where you choose to make a stand or how you choose to handle the zombies who might show up on your doorstep, you will need to make a plan for security and self-defense. You will want to consider non-lethal self-defense weapons and what guns are best for home defense. There are many, many more skills you need to master if you are going to survive long-term after SHTF. Urban dwellers will want to brush up on these urban survival skills. Whether your location will be urban, rural, or on the move, first, you must create your survival war plan with as much detail as you can. Once you have your plan, begin implementing it in an organized way to avoid blowing your budget. Consider DIY tools, equipment, and a DIY first aid kit to save money on preps. Another great place to frequent to find items for your EDC kit, make a little extra money selling stuff you don’t need, or even to practice skills you need to know for a post-SHTF situation are flea markets. Don’t forget places like the Army surplus store, goodwill, and other thrift stores when buying supplies. Previous Genetically Modified Food: Can it Derail My Survival Plan? And when that doesn’t work, and it won’t 90% of the time as most people just won’t prep. You have informed a bunch of people that you do prep and have supplies they must have to live. OPSEC blown away completely and you will look a LOT like your neighborhood WalMart and people will come to get food and supplies they need. 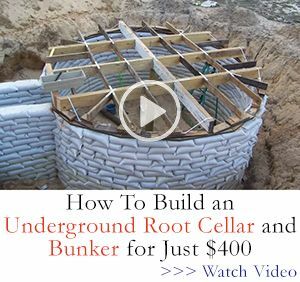 This is not going to go well as in a bad SHTF situation nothing is more important then food and survival supplies and they will have nothing to give you to pay for these life-giving things. Not that they would even think that you should be paid. They MUST HAVE food and will fully expect and DEMAND you just give it to them. The idea that you would say NO (because you need it to live) would not cross their mind. Better have a few guns and be willing to convince them you will use them, up to and including killing them. Or you could just pass on trying to make preppers out of people that will never prep and therefore you have a much better chance of not dealing with people too stupid to prep. We all get the same news, it’s not my fault my neighbors are too stupid to read it right and apply a bit of common sense and effort to their families survival and make food and a bit of prepping a priority. I drive old autos, have no debt, I focused my money on prepping. If my neighbors value a Zero-Turn mower ($4,000.00), new autos ($20,000.00 to $50,000.00), big TV’s ($1,500.00), $100.00 a month cell phone bills, the most expensive internet access (to play games) and the hundred other things they have that I don’t have why should I feel sorry for them to give them food (that they will want for free) that I worked hard to build up? I don’t get to drive their new auto, I use my old push mower not their new one, I don’t get to use their internet access, I don’t see them bringing the big TV over to let me use, I don’t get to use their cell phone. So NO they will not be eating my food. I keep my mouth shut about prepping. Trying to get people to prep has no up side and a lot of down side if it hits the fan. Exactly right Chuck! Totally agree with you. Couldn’t of said it better. Too many people just don’t want to know about what’s happening in the real world around them. Everything is so easy now and they’re too stupid or blind to see that everything is going to change one way or another real soon. It’s not that difficult to make a few preparations “just in case ” even if they do think that we are just over reacting nuts. Better safe than sorry! Hi,l live in the U.K. And realise that a SHTF situation can strike /happen just about anywhere in the world Today. From volcanic eruption,Tsunamis ,wild fires ,cataclysmic land/mud slides,massive earthquakes,all manner of thing.. So, l urge people to just THINK, think what you would need to survive any one of these catastrophic events. I personally have started by storing a. Quantity of good clean drinking water,dry food packs etc. Don’t be deterred from planning,even if it never happens,you will always be mentally aware of what is going on around you.